What is lacrosse? Where can I learn more about the sport? Lacrosse is the fastest growing team sport in North America. It combines the best elements of basketball, soccer, and hockey in a fast-paced and fun sport. You can learn more about lacrosse and its origins directly from the sport's national governing body, US Lacrosse. Is lacrosse co-ed? If so, up to what age? Unfortunately, lacrosse is not co-educational in sanctioned competition. Boys lacrosse and Girls lacrosse differ in significant ways including their rules and required equipment. NOTE: If a female athlete wants to play on an MBYLL Boys team, we are more than happy to petition the league on her behalf. 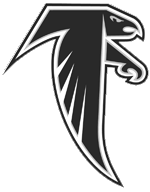 We also offer a "Future Falcons" Co-Ed Development Program for boys and girls 7 and under to expose them to common age-appropriate fundamental lacrosse skills, structured games, and scrimmages. Prior experience playing lacrosse is NOT required! Does lacrosse fit some body types better than others? Not really. As with other sports, agility, strength, and endurance are of great importance, but there is a position on the field for all body types! If you can play soccer, you can play lacrosse! If you can play basketball, you can play lacrosse! If you can play hockey, you can play lacrosse! If you can play field hockey, you can play lacrosse! If you can play baseball/softball, you can play lacrosse! If you can play football, you can play lacrosse! Players come in all sizes and shapes, but all work to master the same fundamental lacrosse specific skills including stick handling, dodging, defense, and shooting accuracy. Is lacrosse an inclusive sport? The stereotype of lacrosse being an exclusionary sport is on its way out as great programs are starting up in diverse communities everywhere from Brooklyn to San Francisco. Cambridge Youth Lacrosse is no different. CYL does not discriminate on the basis of race, gender, creed, color, nationality, sexual orientation, disability, or socioeconomic status. Cambridge Youth Lacrosse is family. Boys and girls lacrosse are both considered contact sports. As with all contact and limited contact sports, the risk of injury, including concussions, is always present. To mitigate these risks and improve safety, Cambridge Youth Lacrosse will emphasize skill development, body awareness, good sportsmanship, and strict adherence to lacrosse rules through quality instruction. Our safety initiatives complement those endorsed by the sport's governing body, US Lacrosse. Is there a residency requirement? Do you have to be from Cambridge? No, we are an inclusive organization. Anyone that is interested in lacrosse and proud to represent Cambridge can join Cambridge Youth Lacrosse! In our absence, many of our current players were fortunate enough to have played for great programs in other towns and we believe that is the best approach for growing the sport. Our teams are open to both boys and girls, ages 6-15. We are looking to field league teams in the Under 9, Under 11, Under 13, and Under 15 age groups for girls and the Grades 1&2, 3&4, 5&6, and 7&8 groups for boys. Starting in 2018, we added a "Future Falcons" Co-Ed Development Program for boys and girls 7 and under to expose them to age-appropriate fundamental lacrosse skills, structured games, and scrimmages. What is your program's philosophy? Cambridge Youth Lacrosse looks to promote the growth of both boys and girls lacrosse in Cambridge through efficient skill development, mini-games, and competitive play. We believe in practicing hard, playing hard, and striving to win. While winning is an essential part of sport and competition in general, we equally emphasize the many other complementary goals of our program. These goals include the development of strong fundamental lacrosse skills, good sportsmanship, team camaraderie, and a love for the sport! Do players need prior lacrosse experience to join CYL? No prior experience or familiarity with lacrosse is necessary to take part in and enjoy Cambridge Youth Lacrosse. All that is needed is a willingness to have fun, try hard, and learn! Do you have to try out? No, there are no try outs. If you are interested in lacrosse, we want you playing lacrosse! While there are no try outs, there will be an evaluation period to help us effectively distribute talent among our teams. Balanced teams are important for both player development and competitive parity. Are there a limited number of spots? Are there cuts? There are no cuts as our mission is developmental. Anyone who is interested in playing Cambridge Youth Lacrosse will be able to. We will form as many balanced teams as necessary. Balanced teams are important for both player development and competitive parity. This philosophy is also adopted by the Mass Bay Youth Lacrosse League that we are members of. They disallow "stacking" of teams. In other words, they don't allow a program to put all the best players on a single team at the detriment of the other teams in the program. This year, we will evaluate players over the first few weeks of practice in order to effectively distribute players. What is Select Lacrosse? Are there cuts? In 2018, we added U13 and U15 boys Select teams to our program. Our Select teams offer 8 additional weekly game opportunities for players interested in even more competitive play and playoffs at the end of the season. Select games are in addition to our normal Sunday gameday schedule and are held on either Friday or Saturday evenings. Interested players are REQUIRED by MBYLL to play both "classic" town AND Select games. Select team costs are additional and will be equally divided among participants. Interested players will be evaluated based on skill, athleticism, attitude, and commitment the first week of the season. Cuts will be made if the number of interested players exceeds competitive roster capacity. You will be able to sign up for Cambridge Youth Lacrosse online at our website throughout the spring season. Is there a sign-up cut off date? Our "Future Falcons" Co-Ed Lacrosse Skills development program does not have a sign-up cut off date. You can register anytime, so be sure to spread the word and invite friends. Registration for our MBYLL/FGLL Travel and Select Teams closes on February 11th, 2019. We ask that you register earlier rather than later for planning purposes. This gives us enough lead time to meet Mass Bay Youth Lacrosse League / Founders Girls Lacrosse League registration requirements and deadlines and allocate coaches and resources to each team. What are the costs? Is there financial aid? You can learn more about our Spring programs here. 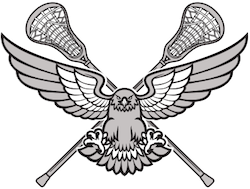 ALL Girls and Future Falcons players to be current members of US Lacrosse, the sport's governing body. Membership costs $30 for participants under 15 and entitles players to discounts on equipment, a subscription to Lacrosse Magazine, and most importantly insurance coverage for our games and practices. Boys on MBYLL travel and select teams to have a valid MBYLL Player ID. MBYLL Player ID numbers cost $35 and provide insurance coverage through the league for ALL Cambridge and MBYLL practices, games, and events for the year. If players do not already have access to equipment, they will have to either purchase or borrow some. This may add additional costs. We are slowly building a cache of our own, so please inquire if you need to borrow some. We recognize that lacrosse is an expensive sport to play. The goal of CYL is to enable any child wishing to play lacrosse in Cambridge to do so. Through generous donations, we continue to build a financial aid fund and are able to offer some financial assistance to those families most in need. If you require assistance, please don't hesitate to let us know and we will work with you to find a solution on a case-by-case basis. Please contact scholarships @ cambridgeyouthlacrosse.org for more information. Yes, all players are required to wear protective gear. Equipment can be borrowed or purchased. Check with our sponsors and partners for discounts and specials. If acquiring equipment poses an undue hardship, please contact us at needequipment @ cambridgeyouthlacrosse.org or ask a coach at any session for more information on equipment availability and our lending policies. Is CYL one of those for profit "select" club programs? No, Cambridge Youth Lacrosse is a volunteer run, 501(c)(3) non-profit organization based in Cambridge, Massachusetts. Our mission is developmental in nature and the needs of the Cambridge community are always our priority. Can my athlete play both lacrosse and baseball/softball? We encourage participation in multiple sports to develop well rounded athletes. In addition to simply bringing youth lacrosse to the Cambridge community, one of our other important goals is to develop our program specifically with baseball/softball in mind. We believe that the youth of Cambridge should have the opportunity to play both spring sports and should not specialize in either too early. With this in mind, we look to minimize conflicts on the diamond by scheduling games and offering practices on weekends. What player doesn’t love official equipment, team logos, numbered jerseys, and team gear! In scrimmages, we wear reversible “Cambridge Falcons” lacrosse pinnies (required) and order matching lacrosse shorts for those that want them (optional). For MBYLL/FGLL league play, we dress in numbered "Cambridge Falcons" jerseys. Matching CYL lacrosse shorts are optional. What are the start / end dates for the spring season? Our Spring season will run from April to mid-June weather permitting. Practices and games will be held in beautiful Danehy Park in Cambridge. Fields will be assigned based on practice and game schedules. Fields 1-4 and parking are best accessed off of New Street. Do you play other teams/towns? If so, with whom and where? Our girls are members of the Founders Girls Lacrosse League's Metro Division. Additionally, we schedule one-off non-league scrimmages with teams from great programs such as Charlestown, Medford, Metro, and Belmont lacrosse for families that are interested. Our coaches are parents, teachers, students, and volunteers with collegiate playing experience. Many of our coaches also have previous experience coaching lacrosse and other youth sports. All of our head coaches are certified by US Lacrosse, the sport's governing body. Does everyone get playing time? Yes, we are a development program and expect all of our athletes to contribute. What league are our teams part of? Our boys are members of the Mass Bay Youth Lacrosse League's Northwest division. What athletic season does lacrosse play? Spring is the traditional lacrosse season. However, we will be organizing clinics, tournaments, and skill sessions throughout the summer and fall for all that are interested in improving their skills. Is lacrosse an option at our Cambridge schools? Yes, lacrosse is an interscholastic varsity option for both boys and girls at many of our schools. How can I help out CYL? We appreciate any help your skill set can contribute! Write us at volunteer @ cambridgeyouthlacrosse.org with your ideas. Where can I donate? How can I contribute? Please consider supporting CYL as part of your potential annual giving. Donations made to CYL are fully tax-deductible to the extent of the law. Donations will be accepted online through our donations page. Other types of contributions may be tax deductible as well. Please consult your tax advisor to learn more about tax deductibility.